This requires each of us to pay careful attention to every detail of our daily operations to make each day as safe as the last. Safety cannot be a realistic goal unless every individual in our organization, including you, feels as committed as we do.We all have families who feel our pain when we are ill or injured. At NADC we want them to know only the joy and satisfaction that comes from the confidence that our work is being done well and safely. We have invested considerable time and effort into the formation of our Corporate Safety Program and we want to make this a “living document” that is capable of change and improvement brought about by your suggestions. The participation of every employee, subcontractor, and customer of NADC is absolutely essential. We are partners in success and therefore, must share the responsibility of doing our very best to identify any unsafe conditions or acts and bring them to our attention. 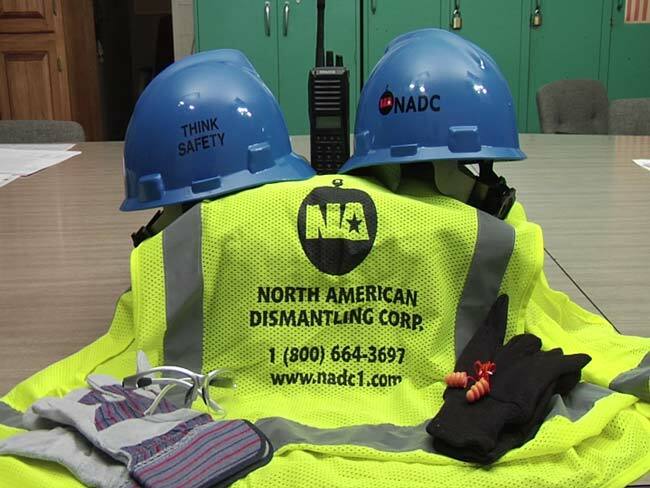 NADC is dedicated to providing the safest workplace environment as possible. This means providing our personnel with the right training, equipment and support to make sure that safety is paramount on all of our work sites. Historically, safety concerns have plagued the demolition industry, and can supersede any other project successes. 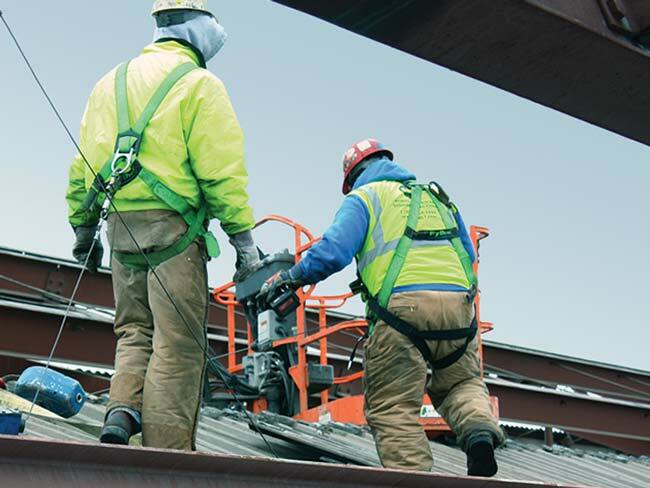 North American Dismantling has established one of the “safest” safety records in the industry . This record is in jeopardy every day, on every site. Demolition is a dangerous occupation and safety requires much more than just a conscious effort. 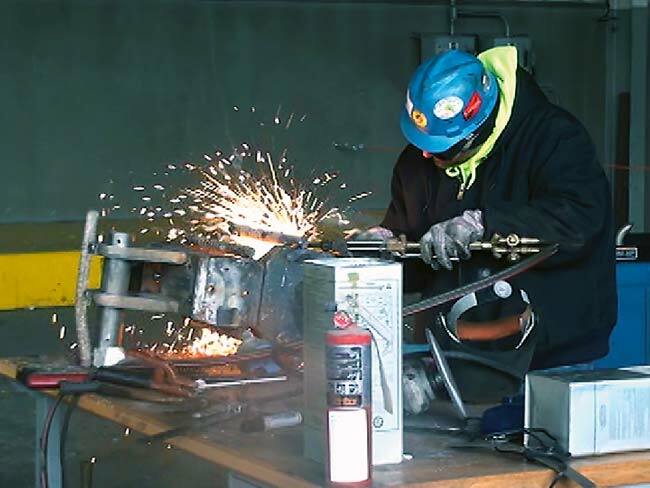 North American Dismantling Corp. (NADC) maintains a complete and extensive Health and Safety Manual, which is continually upgraded to comply and promulgate the ever-changing OSHA, EPA, DNR and other governmental agency regulations. NADC presents and updates any new information to our staff via newsletters, management meetings and corporate sponsored safety seminars. In addition, NADC has a mandatory drug testing program to ensure a drug free and safe work environment. Each employee is drug screened at the time of hire and surprise drug tests are held periodically at the discretion of NADC management. The following is an outline of North American Dismantling’s Health and Safety Manual. Each of North American Dismantling’s project managers, superintendents, and key personnel have received OSHA 30 hour safety training, 40-hour Hazardous Waste Procedures, Asbestos Awareness Training, Lead Awareness Training, CPR Training and First Aid Training. Prior to the start of a project, North American Dismantling conducts an extensive Pre-Demolition Survey to identify all possible safety hazards that may exist. The core to North American Dismantling’s safety record has its foundation in three principles. 2.) Project planning from the very first day, must have safety as the primary objective; and project experience must allow the vision of every phase of the project, thus anticipating safety concerns. Demolition can be reduced to the fundamentals of physics and geometry, i.e., the principle that every action results in an equal and opposite reaction . The foremost safety factor is distance , from the point of implosion or impact, from falling debris and from demolition equipment. A safe distance is maintained through project planning (Don’t work yourself into a corner), the utilization of properly sized demolition equipment (distance of the operator from the building is dictated by the height/size of the equipment utilized for dismantling), and reducing human exposure to hazards (optimizing mechanical equipment usage over manual labor). 3.) Personnel training supports the premise that nothing can promote safety better than knowledgeable and experienced personnel on the job site. Putting a safety officer armed with a safety plan on the site is not enough. Every operator and laborer must be trained, understand the project plan, and be familiar with the site hazards. 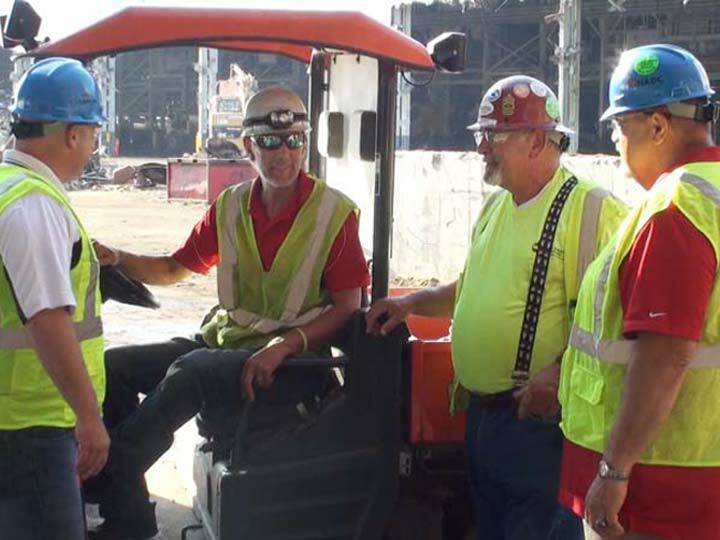 North American Dismantling trains, documents, and orientates every operator and laborer to a project site and conducts routine safety meetings. NADC urges our customers to inspect our safety training records and participate in the safety meetings. information on our Safety Program.